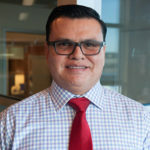 Healthy Gen welcomes Edgar Lopez-Baez as CHW specialist and Tina Horner as CHW specialist – RN. Both will work to develop and support the implementation of the Pathways Community HUB model and other opportunities that support CHW workforce development. Prior to Healthy Gen, Edgar served as a health educator and designed a traumatic brain injury and stroke manual for Seattle Children’s Hospital. He also led train-the-trainer workshops around diabetes at Fred Hutchinson Cancer and Research Center. Edgar has an extensive experience in one-to-one patient education, community education, and health promotion. He has also served as a health fair organizer and coordinated patient care. Tina brings more than 15 years of healthcare practice to Healthy Gen. 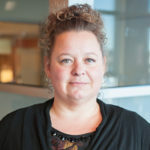 Her prior positions include being a nurse consultant and also the senior regional health coordinator at Puget Sound Educational Service District. Tina is proficient in community healthcare addressing disease management and prevention with a variety of high-risk populations in underserved areas. She is a registered nurse and holds a master’s degree from the University of Washington.